The contemporary look of this Artistic Weavers Clarines area rug adds style to any room. This indoor piece is made from plush synthetic material, which is high quality and high fashion. Contemporary comfort comes in the form of this hand-made rug. This blue rug has a fashionable abstract pattern to add some flair into your home. 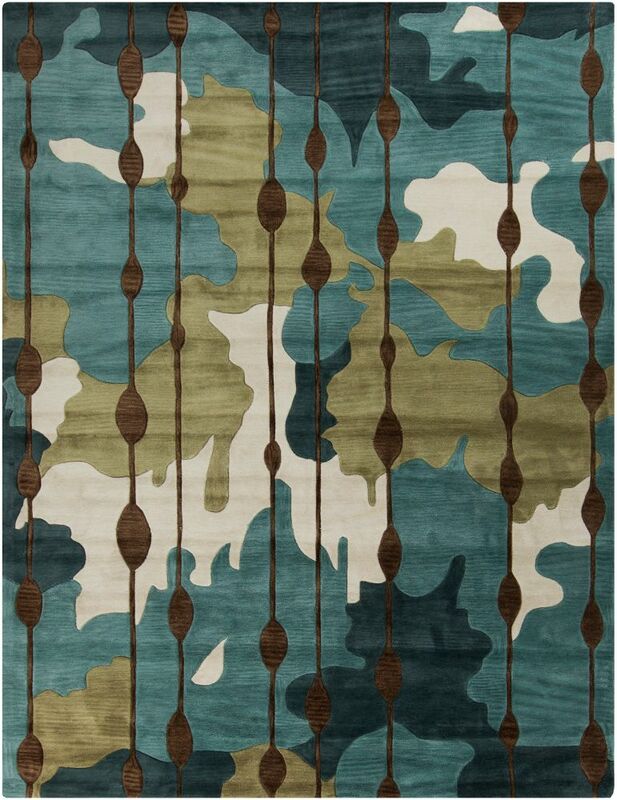 This Artistic Weavers Baxta area rug infuses contemporary style into any room in your home. Keep it classy, quality, and stylish with this indoor/outdoor rug made from plush polypropylene material. Its hand-made construction is sure to endure the constant treading of feet and furniture. Make a bold statement with this floral plants patterned blue rug. This stylish Artistic Weavers Blossoms area rug is a high quality dicor option. Bring this high quality plush synthetic indoor rug into your home to upgrade your interior design immensely. This machine-made rug will make a bold statement in your home that lasts. Add this floral plants patterned blue rug to the dicor of your home for a contemporary infusion. Interior design made simple with this contemporary Artistic Weavers Camarillo area rug. Designed to decorate an indoor space, this plush wool material rug is high quality. This rug is hand-made, which ensures a strong product. This blue rug has a stylish oriental pattern for your modern decor needs. Clarines Blue 8 ft. x 10 ft. 6-inch Indoor Contemporary Rectangular Area Rug The contemporary look of this Artistic Weavers Clarines area rug adds style to any room. This indoor piece is made from plush synthetic material, which is high quality and high fashion. Contemporary comfort comes in the form of this hand-made rug. This blue rug has a fashionable abstract pattern to add some flair into your home.